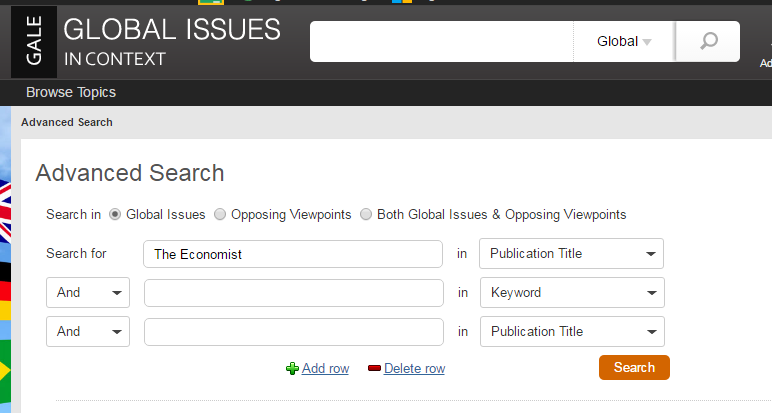 Within Global Issues, click on the Advanced Search box. Search for “The Economist” and change the search field to “Publication Title.” You have to include “the” in this case, which is odd. Put whatever country you need into the Keyword box.